Like the grapevines in our backyard, Fresh Tracks Farm has evolved and matured in many ways over the years, and we want nothing more than to share the end-result with you. Stop by to try our 100% Vermont Wines made from 100% Vermont Vines. 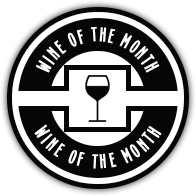 April Wine of the Month: Maple Wine! It is sugaring season in Vermont, and we are celebrating with deals all month on our luscious Maple Wine! Made from 100% FTF maple sap, this is real, farm grown and tapped maple-y goodness. Get 10% off bottles, 15% off cases, and $5 glasses all month long! Suggested Pairing: Pair with a dessert cheese plate, candied nuts, or maple-baked apples!